ONGC Videsh Ltd. (OVL), a Miniratna Schedule “A” Central Public Sector Enterprise (CPSE) of the Government of India under the administrative control of the Ministry of Petroleum & Natural Gas is the wholly owned subsidiary and overseas arm of Oil and Natural Gas Corporation Limited (ONGC), the flagship national oil company (NOC) of India. The primary business of OVL is to prospect for oil and gas acreages outside India, including exploration, development and production of oil and gas. OVL owns Participating Interests (PI) in 32 oil and gas assets in 16 countries and contributes to about 12% and 7 % of oil and natural gas production of India respectively. During FY’13, OVL produced 7.26 MMToe of equity oil & gas which was 11.5% of India’s crude production. As per ONGC Group’s Perspective Plan 2030, OVL’s oil and gas production should increase from the existing level of 7.26 MMToe to 20 MMToe by 2017-18 and 60 MMToe by 2029-30. OVL has stake in 32 oil and gas projects in 16 Countries, viz. Vietnam (2 projects), Russia (2 projects), Sudan (2 projects), South Sudan (2 projects), Iran (1 project), Iraq (1 project), Libya (1 project), Myanmar (2 projects), Syria (2 projects), Cuba (1 project), Brazil (2 projects), Nigeria (1 project), Colombia (8 projects), Venezuela (2 projects), Kazakhstan (1 project) and Azerbaijan (2 projects). OVL had ventured into midstream and had successfully completed 741 Km product pipeline project in Sudan in 2005. In March 2013, it acquired 2.36% stake in the BTC pipeline as part of its acquisition of stake in Azerbaijan. OVL has equity participation in 2 projects in Venezuela. OVL signed an agreement with Corporación Venezolana del Petróleo S.A. (CVP), a subsidiary of PDVSA on 8th April, 2008 and acquired 40% PI in San Cristobal Project, Venezuela. San Cristobal project covers an area of 160.18 Sq. Km in the Zuata Subdivision of proliferous Orinoco Heavy Oil belt in Venezuela. The JV Company is named “Petrolera Indovenezolana SA”. OVL along with Indian Oil Corporation Limited (IOC), Oil India Limited (OIL), Repsol YPF (Repsol) and Petroliam Nasional Berhad (PETRONAS) (collectively, the “Consortium”), was awarded by the Government of the Bolivarian Republic of Venezuela 40% ownership interest in an “Empresa Mixta” (or “Mixed Company") which will develop the Carabobo 1 North (203 sq.km.) and Carabobo 1 Central (180 sq.km.) blocks located in the Orinoco Heavy Oil Belt in eastern Venezuela. OVL holds 11% PI in Carabobo-1 project. The Mixed Company was incorporated as “Petro Carabobo S.A.” in 2010. OVL has emerged as India’s most internationalized company based on the Transnationality Index (TNI) as per survey conducted jointly by Indian school of Business (ISB), Hyderabad and Fundacao Dom Cabral (FDC), Brazil. Fulfilling social responsibility as a corporate citizen is part of the foundational ethos of Indian Public Sector Enterprises. OVL is committed to create a positive and lasting social impact by developing successful partnerships built on mutual trust and respect, ultimately raising the standard of living and the stability of the communities of the countries in which the Company operates. OVL makes valuable contribution in many ways e.g. through payment of tax revenues to governments; by investing in education and training and improving employment opportunities for nationals; providing medical/ sports/ agricultural facilities to the local community, etc. Oil India Limited (OIL) is a premier Indian National Oil Company engaged in the business of exploration, development and production of crude oil and natural gas, transportation of crude oil and production of LPG. It is the second largest hydrocarbon exploration & production (E&P) Indian public sector company. The story of OIL traces and symbolises the development and growth of the Indian petroleum industry. From the discovery of crude oil in the far east of India at Digboi, Assam in 1889 to its present status as a fully integrated upstream petroleum company, OIL has come far, crossing many milestones. On February 18, 1959, Oil India Private Limited was incorporated to expand and develop the newly discovered oil fields of Naharkatiya and Moran in the Indian North East. In 1961, it became a joint venture company between the Indian Government and Burmah Oil Company Limited, UK. In 1981, OIL became a wholly-owned Government of India enterprise. Today, OIL also provides various E&P related services and holds 26% equity in Numaligarh Refinery Limited. Dr.Reddy’s Laboratories was founded in 1984 by late Dr. K. Anji Reddy, a pioneering scientist and entrepreneur with a vision of making medicines accessible to the millions in India. A company that commenced making Active Pharmaceutical Ingredients (API) is today, a global pharmaceutical major that spans a range of products and services in a broad spectrum of therapeutic areas, across the world. Over the last three decades, Dr. Reddy’s has emerged as an integrated pharmaceutical company, committed to accelerating access to affordable and innovative medicines because it believes ‘Good Health Can’t Wait’. Through its three businesses - Pharmaceutical Services & Active Ingredients, Global Generics and Proprietary Products, Dr. Reddy’s offers a portfolio of products and services including APIs, custom pharmaceutical services, generics, biosimilars and differentiated formulations. The major therapeutic areas of focus are gastrointestinal, cardiovascular, diabetology, oncology, pain management and dermatology. The Company’s Venezuela operations commenced in the year 1998. 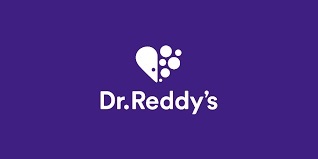 Dr. Reddy’s is headquartered in Hyderabad, India, with presence in over 25 countries and a workforce of over twenty thousand from 40 nationalities. The company has 20+ manufacturing facilities that are supported by five technology development centers, two integrated product development (IPDO) facilities and three R&D centers across India, the United Kingdom, the United States and Europe.